"There’s not much flat land here," says Steve Chrychel, an interpreter for Hobbs State Park-Conservation Area in northwest Arkansas. Covering more than 12,000 acres, the Hobbs landscape rollercoasters with knobby hills and deep hollows, offering great terrain for hiking and biking. On the park’s perimeter, fingers of Beaver Lake form secluded, lush passageways, for paddling and fishing. The perfect spot for a wild escape, Hobbs remains relatively primitive, with no major campgrounds, and few other signs of civilization. Here, the main attraction is a system of well-maintained trails that explore large tracts of unspoiled forest. It’s a remarkable scene, considering that this land once housed the largest steam-driven sawmill in Arkansas. 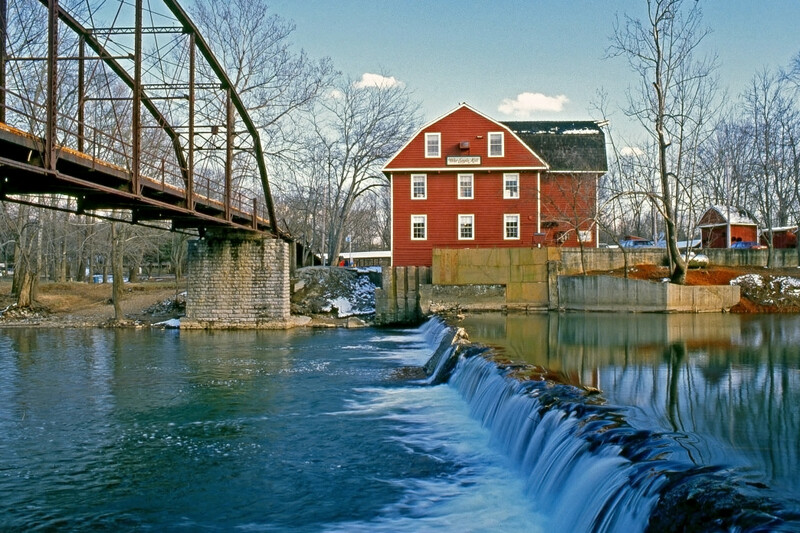 Following the Civil War, the Van Winkle mill supplied huge amounts of lumber for the reconstruction. While much of the land was logged, it recovered nicely and now includes towering pines and mature stands of oak and hickory. Established in 1979, Hobbs State Park-Conservation Area remained a hidden gem for decades, drawing very light traffic. But, in the past decade, visitation has increased as the population of northwest Arkansas has boomed. About 14 miles from Hobbs, the town of Rogers boasts a revitalized downtown with coffeehouses, microbreweries, and lively mix of restaurants. With plenty to do on and off the trail, Hobbs State Park-Conservation Area makes a great destination for a weekend getaway or a weeklong multi-sport trip. To help you plan a trip, we’ve compiled insider tips on places to hike, bike, paddle, and fish—and satisfy your appetite for good food and drinks. Of all the Arkansas state parks, Hobbs is the only one with a trail-maintenance supervisor and an army of volunteers. As a result, the park’s 35 miles of trails are well maintained and easy to navigate. Most paths traverse rolling hills and hollows and occasionally provide views of Beaver Lake. Of the 35 miles of trails, 24 are multi-use, and there are rarely conflicts between pedestrians, bikers, and equestrians. For a long walk or trail run, try the 9-mile Little Clifty Loop, which covers rolling terrain that isn’t too steep. Because the path rarely gets muddy, this is the first trail that locals visit after a good rain. Forming a figure-8 pattern, the Pigeon Roost Trail allows you combine two loops that are about 4 miles each for a total of 8.4 miles. On the first loop, you can access the clear, cool, waters of Beaver Lake. As you walk the path, keep your eyes peeled for large "thong trees," which have curious right-angle bends in the trunk. As legend goes, Native Americans used strips of animal hide to shape the trees to serve as directional markers. 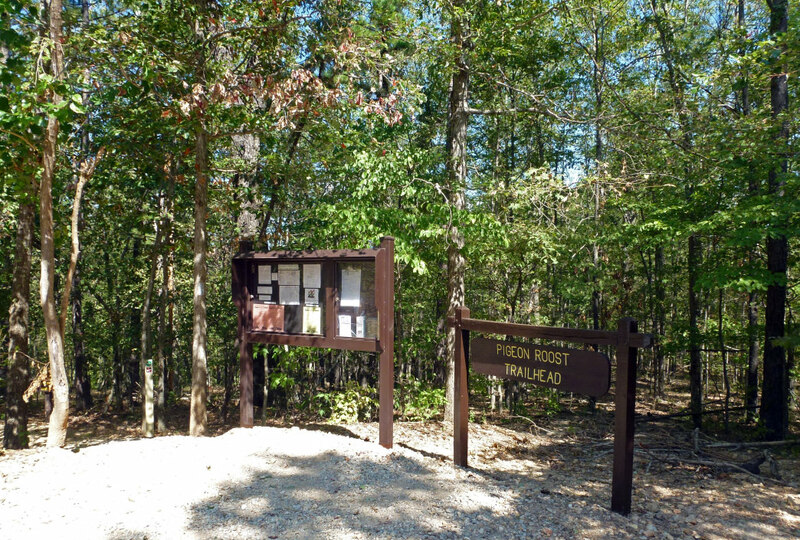 From the Pigeon Roost Trailhead, you can also walk 4 miles over moderate terrain to reach five primitive campsites that lie near the lake. At each site, you’ll have a gravel pad for a tent, a fire pit, and a place to hang a lantern. If you’re traveling with kids, or just want a short walk, follow the 1.5-mile Shaddox Hollow trail, which descends beneath overhanging bluffs to reach a gravel bank of Beaver Creek, where you can avoid mud as you relax and swim. From the trailhead for the Hidden Diversity trail system, you can ride 24 miles on moderate and strenuous routes that drop from sunny ridges to deep, shaded hollows, and include just a handful of significant climbs. For a fun ride that’s not too technical, take the 9-mile Little Clifty Loop. If you want a bit more of a challenge, ride the 6-mile War Eagle Valley loop, which follows switchbacks to a nice creek overlook. Advanced riders might enjoy the Dutton Hollow Loop and Bashore Ridge Loop. Each ride measures about 3 miles and includes steep terrain and sustained climbs—great tests of legs and lungs. 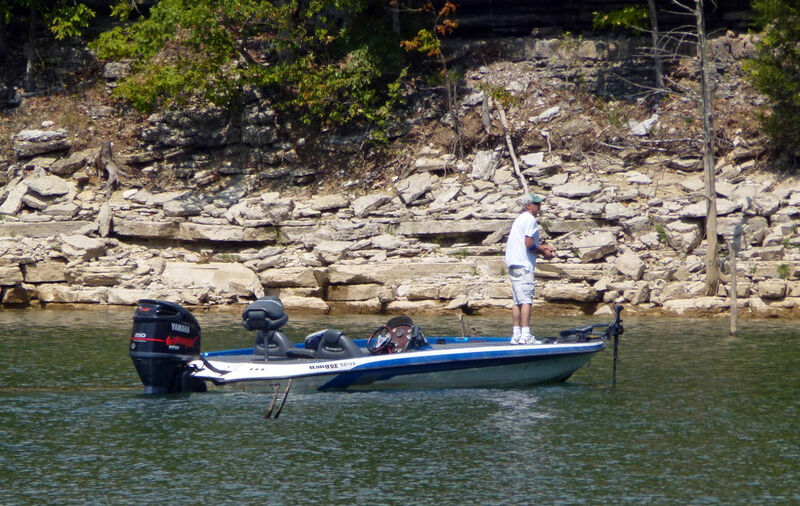 Covering more than 31,000 square miles, Beaver Lake draws significant numbers of boaters and anglers. While the majority of the lake rests outside the boundary of Hobbs, a few arms and fingers of water stretch into the state park. In the deep, main body of Beaver Lake, anglers in fishing boats reel in massive bass, crappie, walleye, and catfish. If you prefer to use a kayak and fish quiet coves, put in at the Rocky Branch Campsite on Beaver Lake and make your way to Van Winkle Hollow, a main arm of the lake. In the hollow you’ll find great fish by working the shoreline of inlets and coves. 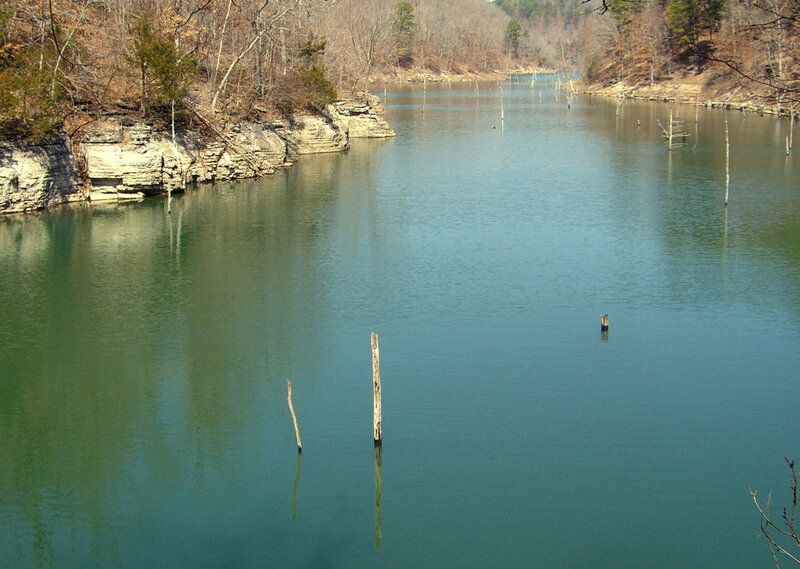 You might pull bass off of stumps or find catfish roaming deep pools beneath bluffs. In this wild corridor, there are almost no houses, docks, or boat traffic, and you might see the resident bald eagles overhead. Locals refer to Rogers as the gateway to Hobbs. To begin your day, head downtown to Iron Horse Coffee for a quality cup of joe and a build-your-own bagel sandwich. For lunch, try the Numan II sandwich with turkey, bacon and tasty coleslaw. For lunch or dinner, locals love The Rail-A Pizza Co, which serves specialty pies like Chicken Pesto, plus awesome pork shanks (aka pig wings). To satisfy a big appetite, order the Tomahawk Ribeye at Levi’s Gastrolounge, but save room for the amazing donuts (with the hole included). In downtown Rogers, craft beer is easy to find, and the Ozark Beer Company offers a popular APA and a killer Coffee Stout. Just north of downtown, New Province Brewing Co. pours Philosopher IPA and a potent Veritas Belgian Quadruple. Considered the "Cheers" of Rogers, Club Frisco is a gathering spot for locals and serves everything from PBR to fancy martinis. If you’re traveling with your pet, Brick Street Brews not only welcomes dogs, but also kids, and you can chill on the patio and enjoy live music. 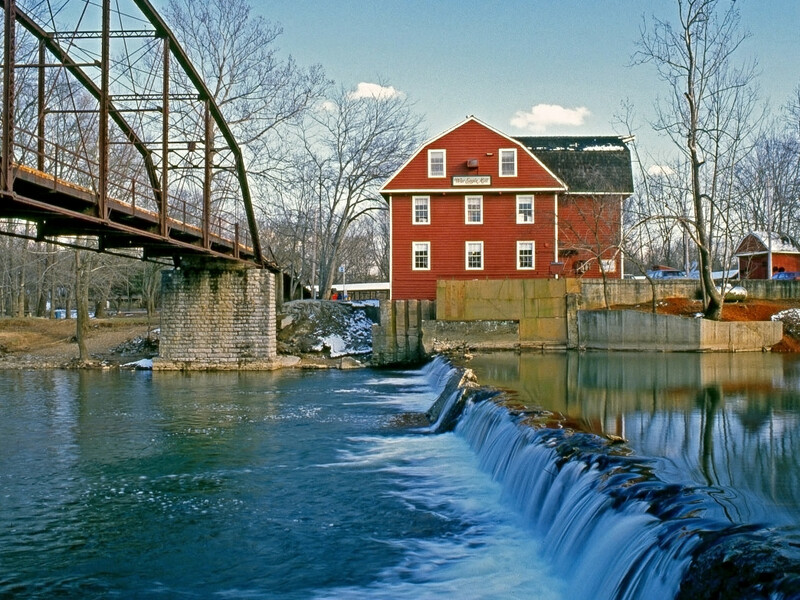 Established in 1832, the picturesque War Eagle Mill sits on the bank of easygoing War Eagle Creek just outside Hobbs. After you tour the mill and enjoy fresh cornbread, head to the creek to swim, kayak, or fly-fish for crappie. And ask a local about the "50 Cent Hole," where you can donate change to access the creek bank on private land. A few miles from Hobbs, there are tent and RV sites at Prairie Creek Campground, Monte Ne RV Park and Rocky Branch Campground. Originally written for Visit Rogers, AR.